Bay Fish N Trips was recently awarded a Certificate of Excellence Award for 2018. TripAdvisor awards a Certificate of Excellence to accommodations, attractions and restaurants that consistently earn great reviews from travellers. 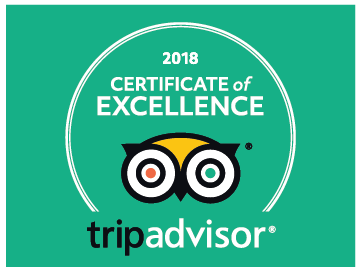 We thank all our guests for their fabulous reviews as the Certificate of Excellence accounts for the quality, quantity and recency of reviews submitted by travellers on TripAdvisor over a 12-month period.